Philippe Cotelle is the Head of Insurance and Risk Management of Airbus Defence & Space since 2014, gathering all Airbus activities in Space, Defence and Military Transport Aviation belonging to the former Divisions Astrium, Cassidian and Airbus Military. He is Board member of FERMA (Federation of European Risk Management Associations) and Vice-President of the Cyber Commission of AMRAE. 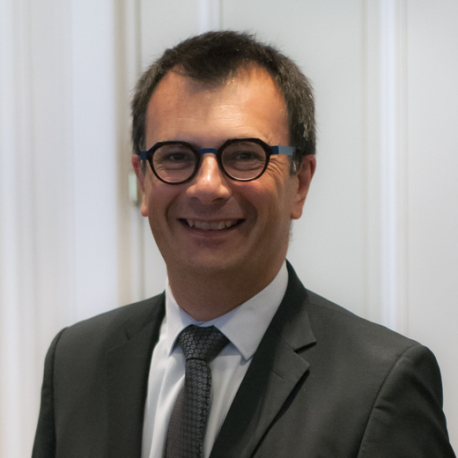 In line with his activities, Philippe Cotelle has contributed to the joint report from FERMA and ECIIA (European Confederation of Institute of Internal Auditors) on Corporate Cyber Risk Governance submitted to European Commission on June 2017. He is developing within Airbus a new approach for Business impact analysis related to a cyber event. Philippe coordinates a research program with the French Institute of Research and Technology on cyber risk management. He is part of the international expert group collaborating with OECD on “improving the measurement of digital security incidents and risk management” and with CEPS (Center for European Policy Studies) on “Sofware vulnerability Disclosure”. Since 2006, he was in charge of Insurance Risk Management for Astrium, gathering the Space activities of Airbus including the 3 business units EADS Astrium Satellites, EADS Astrium Space Transportation and EADS Astrium Services. Since 2004/2005 Philippe Cotelle was in charge of the Risk Management and Insurance of major programs such as Paradigm, the largest UK MOD PFI contract and the first of the space industry, or Satcom BW, the procurement of a turn key military communication system and services for German Bundeswehr . He was also leading the negotiation for insurance and risk management with the European Commission in the name of the European Consortium bidding for the Concession of the Galileo project. From 2000 to 2004, he was Senior Space Risk Underwriter at SCOR one of leading company of the space insurance market. He was member of the Space Study Group of the Federation Francaise des Sociétés d’Assurance (FFSA) and representative of the French Reinsurance Association at the IUAI. Philippe Cotelle is graduated Engineer from Ecole Nationale Superieure de l’Aeronautique et de l’Espace in 1994 and Executive MBA from Essec & Mannheim 2007.